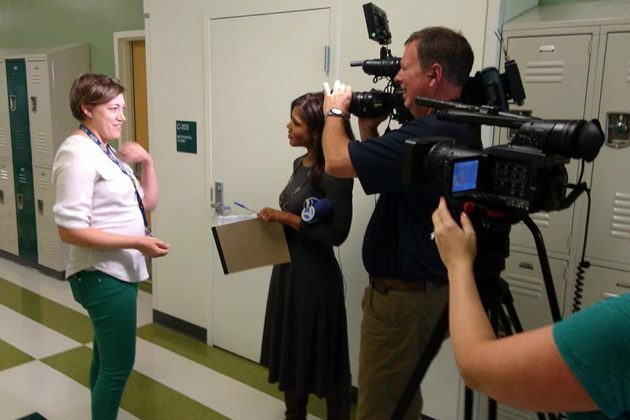 A teacher at Wakefield High School is a finalist for the Virginia Teacher of the Year award after a surprise announcement this morning (Monday). 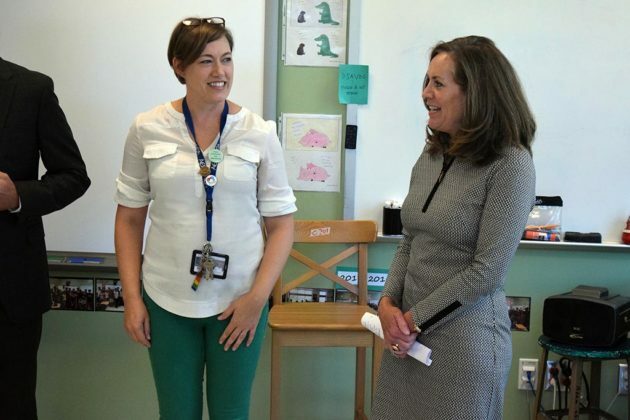 Michelle Cottrell-Williams, a social studies teacher at Wakefield, learned of the recognition from Virginia First Lady Dorothy McAuliffe, who presented her with a certificate and flowers during a sociology class. 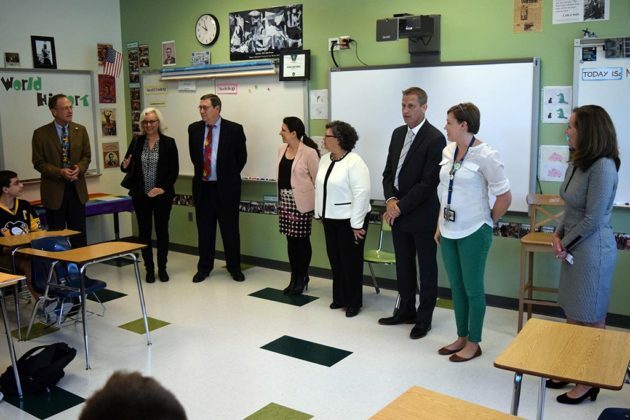 McAuliffe was joined by Superintendent Patrick Murphy, Arlington County School Board members and Wakefield principal Chris Willmore. 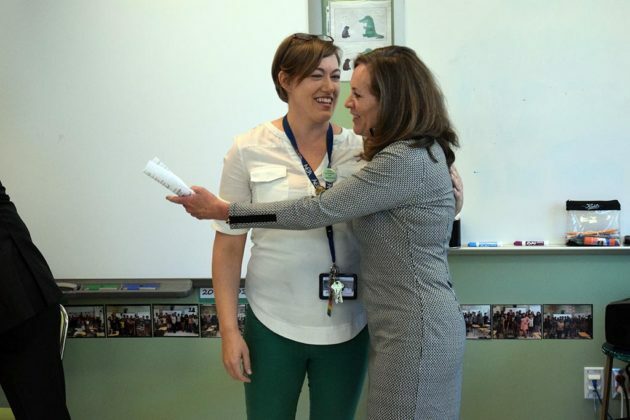 Cottrell-Williams is one of eight teachers in the running for Virginia Teacher of the Year. She represents educational Region 4, which comprises various cities and counties in Northern Virginia. 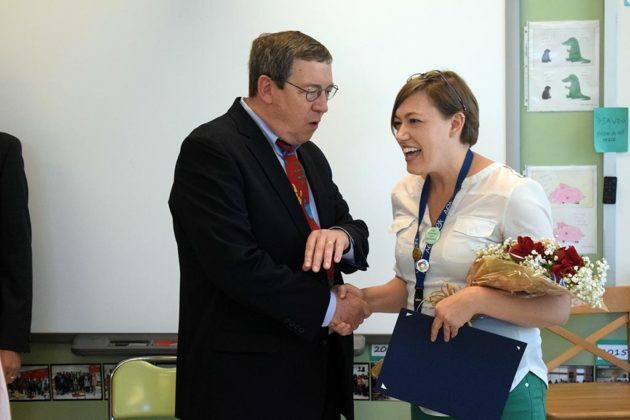 She is the first regional finalist from Arlington since Colette Fraley, another Wakefield social studies teacher, in 2010. Cottrell-Williams is already Arlington Teacher of the Year, having been nominated by Lisa Labella, Wakefield’s senior project coordinator. Cottrell-Williams has taught at Wakefield for 10 years, and is the lead classroom teacher of World History II, U.S. and Virginia Government, AP European History, Sociology and senior project classes. 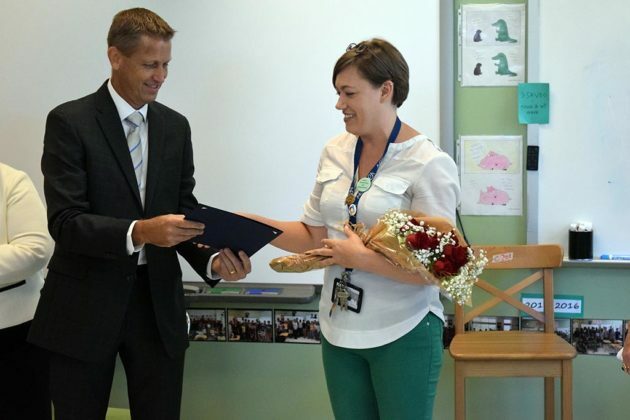 She has been recognized for her dynamic lesson plans that use various strategies and methods to help students learn as well as her commitment to professional development for her fellow teachers. McAuliffe said with budgetary pressures weighing on public school districts across Virginia, recognizing teachers when they are so dedicated is important. Cottrell-Williams will join her fellow finalists in Richmond on Monday, September 18, where they will go through a series of interviews before the awards banquet that evening. Cottrell-Williams said that whether she wins or not will not change the fact that her most important interactions are with her students each day.